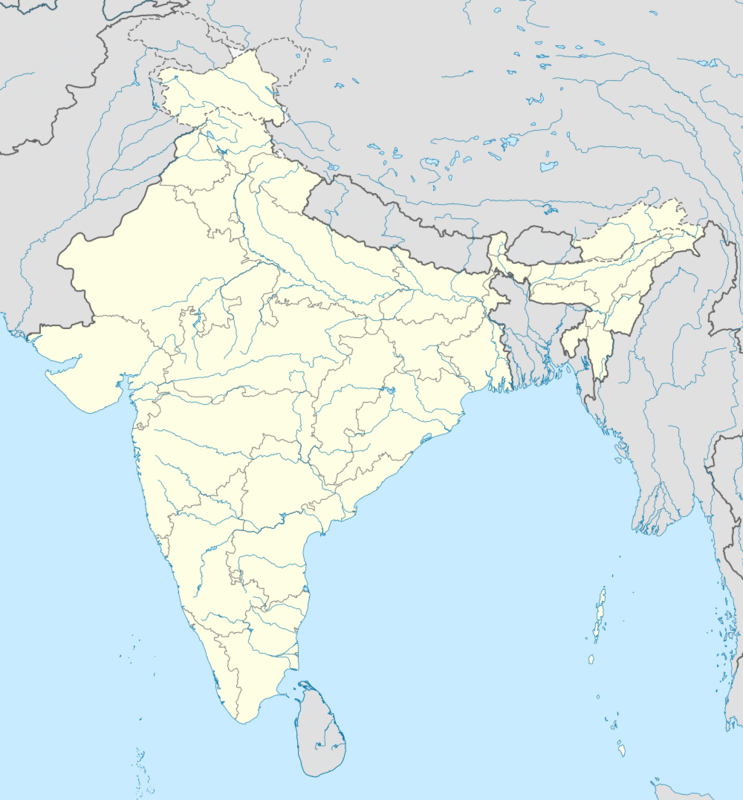 This article is about the municipality in Madhya Pradesh, India. For its namesake district, see Burhanpur District. Burhanpur was an important city under Rashtrakuta Dynasty during 753–982. During excavations in Tapti River & Asirgarh Fort many coins, goddess idols and temples discovered which belongs to prehistoric era. But, Burhanpur got its name and fame during medieval time. In 1388, Malik Nasir Khan, the Faruqi dynasty Sultan of Khandesh discovered Burhanpur, at the behest of Shaikh Zainuddin and renamed it after a well-known medieval sufi saint, Burhan-ud-Din. Burhanpur became the capital of the Khandesh sultanate. 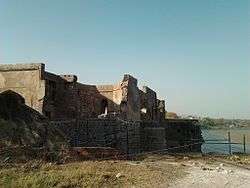 Later, Miran Adil Khan II (reigned 1457–1501), another sultan of this dynasty built a citadel and a number of palaces in Burhanpur. During his long reign, Burhanpur was transformed into a major centre for trade and textile production. In 1601, Mughal emperor Akbar annexed the Khandesh sultanate and Burhanpur became the capital of Khandesh Subah of the Mughal empire. 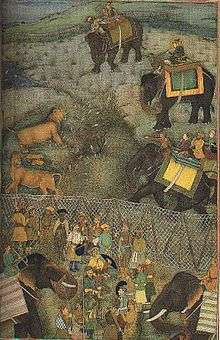 In 1609 Jahangir appointed his second son Parviz to the governorship of the Mughal provinces of the Deccan, and the prince chose Burhanpur as his headquarters as his residence. It is a beautiful city with a lot of historical monuments existing in its expanse, primarily from the ruling times of Shah Jahan, the great Mughal emperor. Burhanpur was an important outpost of the Mughals. Shah Jahan spent a considerable time in this city, and helped add to the Shahi Qila. The Shahi Qila is one majestic palace in Burhanpur, located to the east of the Tapti River. Diwan-i-Aam and Diwan-i-Khas were built on the terrace of the Qila. Little of it remains today as the Qila is mostly in ruins now. However, the parts of the Palace that still stands displays amazing works of sculpture and exquisite carvings. The main attraction at the palace is the hamam or the royal bath. It was specifically built for Shah Jahan's wife, Begum Mumtaz Mahal, so that she could enjoy a luxurious bath. It is said that she died here giving birth to her fourteenth child. Even today, the ceiling has many intricate paintings. One of these paintings depicts a monument which is said to have been the inspiration for the Taj Mahal. In 1681, Burhanpur was raided by Sambhaji, In this campaign, he was joined by his general Hambirrao Mohite. Santaji Ghorpade attacked Burhanpur and Khandesh subha to force Aurangzeb to deploy more forces in Khandesh. This act by Santaji relieved some pressure of Mughal armies from Karnataka and Maratha swaraj ya. The city was taken by Peshwa Bajirao during his reign to Malwa and Delhi. Maratha army under Sadashivrao Bhau who defeated the Nizam of Hyderabad and took control of the town. In 1761 the Maratha army marched for Third Battle Of Panipat from the city. At the down fall of Marathe Empire city went to Maratha Sardar Holkar, Scindia, and then finally 1818 handed over to British by Marathas. As of 2011 India census, Burhanpur has a population of 210891. Males constitute 51% of the population and females 49%. Burhanpur has an average literacy rate of 64%, higher than the national average of 59.5%; with male literacy of 69% and female literacy of 57%. 15% of the population is under 6 years of age. †Includes Sikhs (0.2%), Buddhists (<0.2%). Burhanpur is gifted with large number of tourist spots. Firstly credited as a glorious past, that it has been ruled by several dynasties, it got many Historical places to be proud of. Secondly, the benefit of having three rivers, Tapti, Utavali & Mohna; has given many beautiful natural sights to Burhanpur. This small town has four small ghats. Being the home of a very diverse population, Burhanpur has an all India famous Gurudwara, Masjid, Church, a world-famous Dargah & many well known Temples such as Swami Narayan Temple, Ganesh Temple etc. Asirgarh Fort The fort built by Asa Ahir of the Ahir dynasty is a beautiful place to be for all the lovers of historical architecture. This beautiful fort during its prime time was difficult to win because of being built over a height and the strong outer walls which are still standing intact. It is situated on Burhanpur-Khandwa Highway, at a distance of 20 km from Burhanpur. Shahi Qila It is one such rare fort where you'll find a complete garden on the terrace of the fort. It was built by Farooqi Dynasty & ruled by Shahjahan for a long period of time, his beloved wife Mumtaz died here & it is believed that TajMahal was decided to be made in Burhanpur before the plan was cancelled due to lack of white marble here that time, though Mumtaz was buried here for six months after her death until Taj Mahal construction got complete. Jama Masjid The Jama Masjid is one of the most important and preferred tourist attraction of Burhanpur. It is a historic monument as well as worshipping place. It is centrally located in Gandhi Chowk. The construction of Jama Masjid started in Farooqi rule. The construction of the monument took very long and continued even after Farooqi leader Adil Shah's demise. Then Emperor Akbar supervised and completed the work of Jama Masjid. There are two big minarets, three round cupolas and very majestic artwork on its symmetric pillars which is very well conserved. Dargah-e-Hakimi The tomb complex 'Dargah-e-Hakimi' includes mosques, gardens, and international class accommodation facilities for visitors. Here the holy dawoodi bohra saint, Saiyedi Abdul Qadir Hakimuddin is buried, This monument is visited by pilgrims from all over the world. Burhanpur is best known for textile industries. It is the largest hub for Power Loom industry in the state. Also, having one NTC (National Textile Corporation) project 'Tapti Mills' and Two private owned spinning mill latest state-of-the-art technology. 300-350 textile companies are best known for interlining cloth, Grey Markin, Bleached Dhoti, Cambric, Power loom Cloth bakram and other types of fabric. 'Texmpo Pipes' is the NSE noted industry, Balaji industry both manufactures pipes and agriculture equipment. Several cotton and oil mills are also there.It is the main hub for Textile industry in the INDIA. Apart from this, it is largest producer of Banana in Madhya pradesh. Ideal Hindi And English Primary School. Pdt. Shivnath Shastri Govt Ayurved Mahavidyalaya. Saifiya Hamidiya Unani Tibia Mahavidyalaya. Guru Gobind Singh Dental College. Maulana Azad Institute Of Professional Studies. Dr. Zakir Hussain Degree College. Jija Mata Govt Women's Polytechnic College. Thakur Shivkumar Singh Memorial Engineering College. Patel Ratilal Boriwariwala Higher Secondary School. ↑ Sen, Sailendra (2013). A Textbook of Medieval Indian History. Primus Books. p. 164. ISBN 978-9-38060-734-4. ↑ Jaswant Lal Mehta (1 January 2005). Advanced Study in the History of Modern India 1707-1813. Sterling Publishers Pvt. Ltd. pp. 212–. ISBN 978-1-932705-54-6. Retrieved 2 June 2012. ↑ "History of Burhanpur, British Rule in Burhanpur, Origin of Burhanpur". www.burhanpuronline.in. Retrieved 2015-10-19. ↑ "Gurduwara Bari Sangat (Burhanpur) - SikhiWiki, free Sikh encyclopedia.". www.sikhiwiki.org. Retrieved 2015-10-19. 1 2 "Burhanpur Tourism, Tourist Places in Burhanpur, Sightseeing Burhanpur". www.burhanpuronline.in. Retrieved 2015-10-19. ↑ "Things to Do - Dargah E Hakimi Burhanpur, Burhanpur, Madhya Pradesh". www.nivalink.com. Retrieved 2015-10-19. 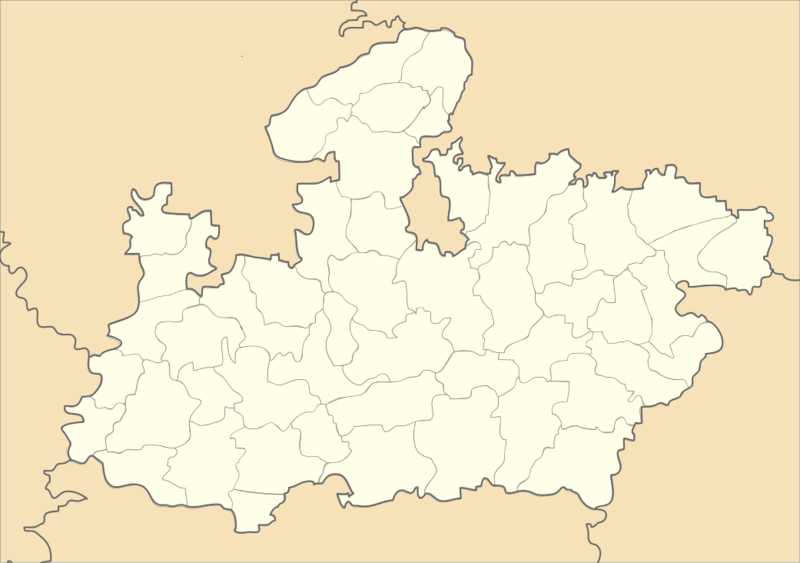 Wikimedia Commons has media related to Burhanpur. Wikivoyage has a travel guide for Burhanpur.